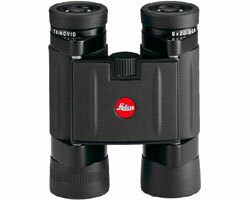 Very steady viewing because of its' 8x magnification and is also suitable for spectacle wearers. Available with black rubber armouring only. It measures approximately 9 x 6 cm (2 x 3 inches). Supplied with a padded cordura pouch, embossed with the Leica logo.